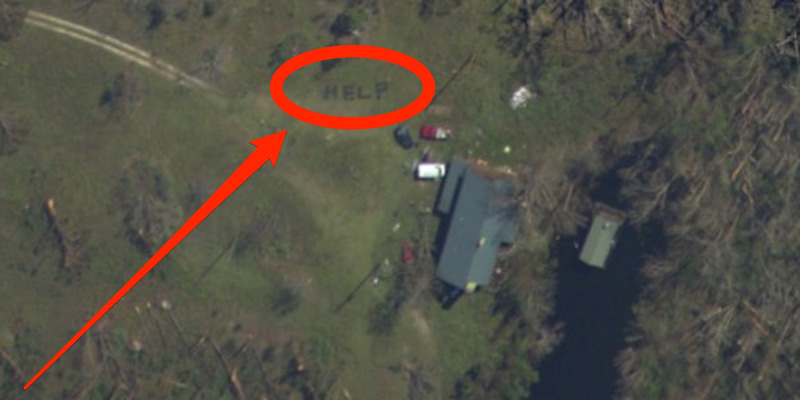 NOAAA woman spotted her relatives’ plea for help, spelled out on their lawn, in NOAA aerial images taken after Hurricane Michael. 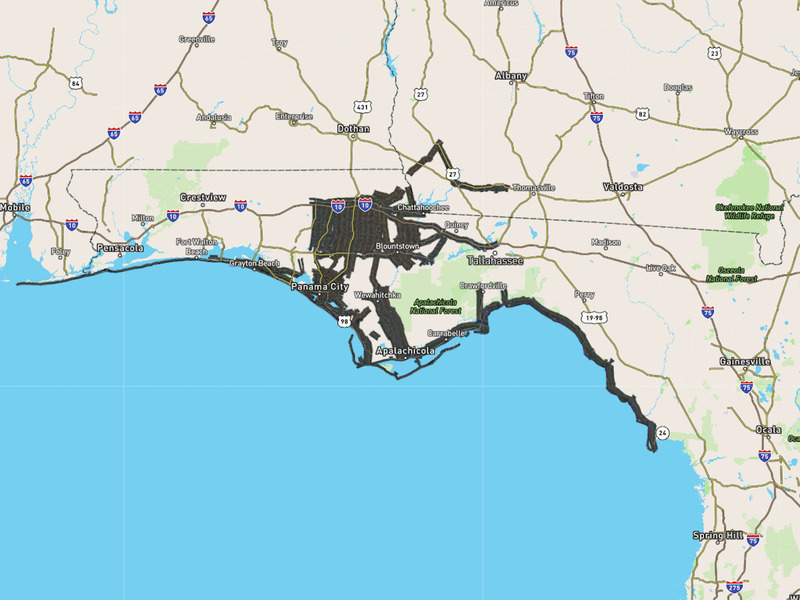 One of the feel-good stories to come out of Hurricane Michael was the woman who spotted her relatives’ call for help thanks to interactive maps from NOAA. 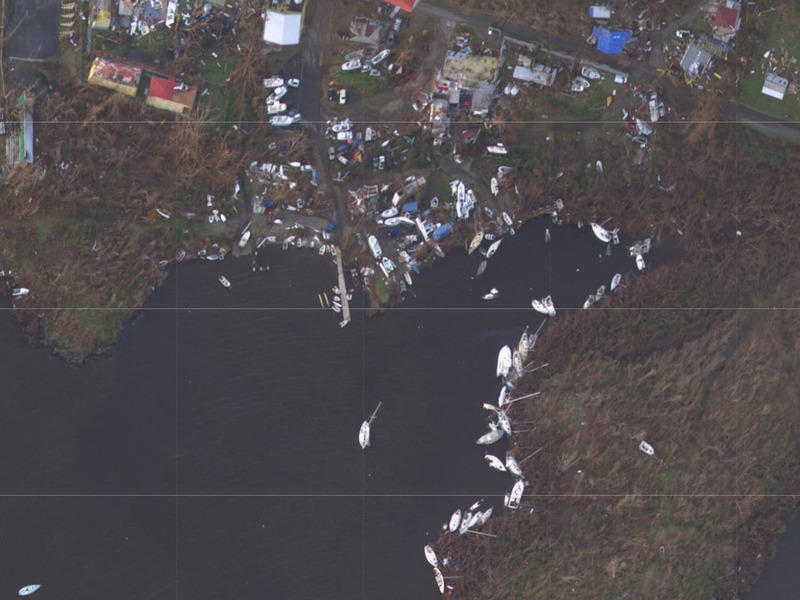 Business Insider spoke with Mike Aslaksen, the man in charge of the division that produces these images, which helps track damage to the coastlines and land after natural disasters. Technology is changing the way that emergency responders conduct search-and-rescue operations after hurricanes. When Hurricane Michael ravaged the Florida Panhandle, Amber Gee turned to National Oceanic and Atmospheric Administration maps to see the damage inflicted on her grandmother’s property in Youngstown, Florida. What she found was remarkable: a call for “HELP” written on the lawn in downed tree branches. Gee alerted rescuers, who found her uncle, aunt, and a family friend hunkering down at the property last Sunday, and brought them to safety. Courtesy of Mike AslaksenMike Aslaksen heads the remote sensing division of the NOAA’s National Geodetic Survey. 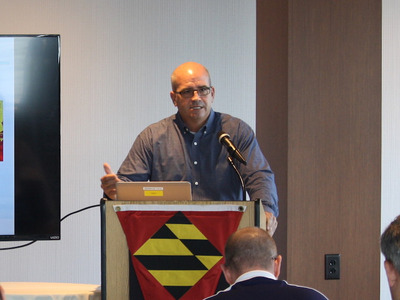 It was a feel-good story for Mike Aslaksen, who leads the remote sensing division of the NOAA’s National Geodetic Survey. 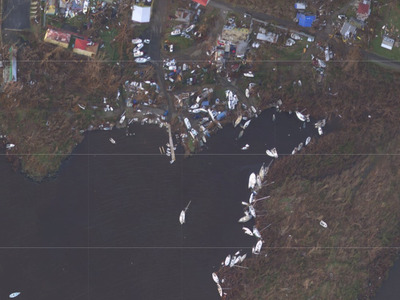 The images Gee found came from NOAA researchers taking photos from survey planes that flew over the damaged areas once the hurricane had passed through. The images were then compiled into an interactive map that anyone can search and explore. Aslaksen remembers a similar story coming out of Hurricane Katrina, and is hopeful that the press surrounding Gee’s story will lead to others using the tool in future natural disasters. This technology is hardly new. Aslasksen says NOAA has been taking aerial photos after natural disasters since the 1930s. Typically, the agency sends a single surveying plane up after hurricanes to see what kind of damage the storm has done to the shorelines that might impact nautical travel. 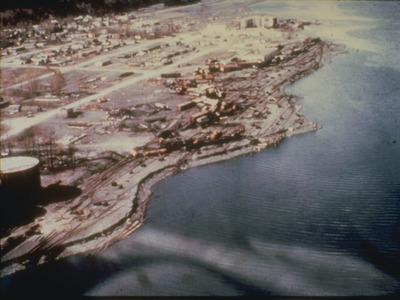 FEMA also gives Aslaksen’s team special missions to collect images of the destruction inland. NOAAThis maps shows the routes that the NOAA plane took after Hurricane Michael to take pictures of the destruction. The images taken from the plane are especially helpful at the beginning of the recovery effort, when search-and-rescue teams are reliant on these pictures to see which routes they can take to reach hard-hit areas or whether they need to be helicoptered in. Aslasken said he heard Florida officials used the Hurricane Michael images to determine the best places for helicopters to land in the devastated town of Mexico Beach in order to deliver much-needed food and water. And it’s not only hurricanes they’re surveying from the sky. The team, which usually includes two pilots and a sensor operator, have also been sent to survey the damage after tornadoes, major floods, earthquakes, nor’easters, the Deepwater Horizon oil spill, and even man-made disasters like the 9/11 attacks on the World Trade Center and Pentagon. It was September 11th that proved a turning point for the division. Back then, they used film to take their pictures, which meant that it could take up to a week to process the data into a digital format. “When we interacted with the emergency response community, they really said we need it in 24 hours or we can’t use it all,” Aslaksen said. So his team focused their energies on digitising their whole process to meet that 24-hour goal. NOAAA NOAA aerial picture shows some of the damage done after the Great Alaskan Earthquake of 1964. They met that goal and then some. In regards to Michael, the team flew their first mission Thursday morning and had their first sets of maps out by 8:30 p.m., just four hours after landing. “Comparatively, if we had to do that from the high-end work stations that we used to carry, that could be eight to 12 hours,” he said. Aslaksen credits the quick turnaround to their camera, which does a lot of the processing while they are still in the air, and the cloud system that they upload their photos to, which can upload between 1,500 to 3,000 images in just a matter of hours. “Our biggest challenge in a lot of cases is just having a good internet connection to upload the data,” he said. NOAAA view of some of the devastation after Hurricane Irma on the island of St. John in the U.S. Virgin Islands. After years of responding to natural disasters, Aslaksen said four stuck out in particular: Hurricane Katrina, the Tuscaloosa-Birmingham tornado, the US Virgin Islands after Hurricane Irma, and Michael. Aslaksen said it left him awestruck to see before images of the Virgin Islands, totally green, turned to brown after Irma completely stripped the vegetation. “This really shows you how the impact of these storms can be. When you’re told to leave, you need to leave,” he said. Aslaksen said the records show the events they have surveyed in the last year or two have been more severe. “We’re flying a lot more than we used to,” he said.